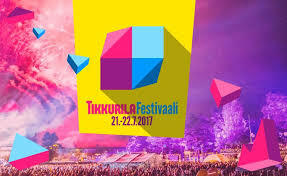 Last year Tikkurila Festival in Vantaa, Finland had 20 000 visitors. It is a concert that is held every summer and it lasts two days. The first time the festival was held was in 2014. This year it is going to be held 21-22 July. It is a fun happening for the whole family. Two days cost about 100 euro. We interviewed Heidi Hujanen who is the producer of the festival. She told us that the festival had 20 000 visitors last year. The idea of the music festival came from that there wasn’t any music festivals before in Vantaa. The performers are popular Finnish artists who can participate for example Antti Tuisku and SANNI. TF Market Oy organizes and pays the festival. There are also volunteer workers and they will get a free ticket to the festival. There have never been any big accidents. It is worth paying a visit! This year Mikael Gabriel, Ellinoora, JVG, Kaija Koo and many more will be performing there. Ella Kullström, Ina Johansson, Joachim Nyman & Milla Miettinen.